I’ve already read all these stories, but it was nice to reread them and get back into following one of my favorite characters from this series. My favorite stories were the ones with Alec, of course. Alec and Magnus are one of my favorite couples from this series and I love getting to see them together again. It’s crazy how many of these stories I had forgotten. I’ve always been up to date with the Cassandra Clare books and read them right when they come out *except for QoAaD, but we don’t talk about her yet…. * so I read this originally back in 2014, which is 5 YEARS AGO. Crazy stuff. I don’t have a ton of thoughts behind these stories because I’ve already read them so I knew all the little connections, but it was fun to read about old characters again. I really like Raphael’s stories and it was cool to see Tessa in today’s time instead of Victorian London. I’m excited to continue my reread of this series; I’m almost to The Dark Artifices again!! Harper Scott is a dancer. She and her best friend, Kate, have one goal: becoming professional ballerinas. But while Kate is a naturally gifted dancer, Harper has had to fight for every step. And now it’s make-it-or-break-it time: if their auditions go wrong, their dreams are over. Harper won’t let anything—or anyone—get in her way, not even the boy she and Kate are both drawn to. Harper may not be a natural, but she is a Scott. She’s related to Robert Falcon Scott, the daring explorer who died racing to the South Pole. So when Harper’s life takes an unexpected turn, she finagles (read: lies) her way to the icy dark of McMurdo Station…in Antarctica. Extreme, but also somehow fitting—apparently she has always been in the dark, dancing on ice this whole time. And no one warned her. Not her family, not her best friend, not even the boy who has somehow found a way into her heart. This book was good, but I wasn’t blown away. 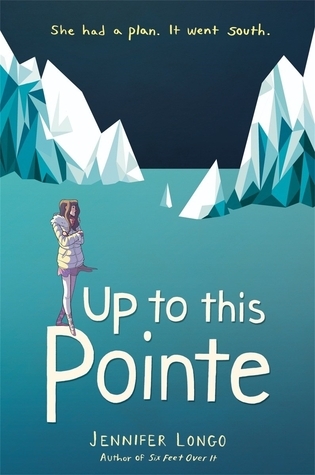 Up to This Pointe follows a girl named Harper Scott who wants to be a professional ballet dancer. Her dream has always been to be in a ballet company, but something happens and her dreams are momentarily put on pause. She decides she needs to get some distance from San Francisco and finesses her way into going to Antarctica for researching for 6 months. She jumps on a plane and heads out to the frozen tundra where she is finally able to be seen as herself and not just “the dancer.” She meets people and makes new friends who help her see she has other interests instead of just dancing. I related to the whole “oh my gosh my life isn’t what I thought it would be right now and I have no idea what I want to do with my life” more than you will ever know lol. I have been having all these same feelings for a couple months, so I related so much to this! I also don’t know if I want to go into the professional dance world even though I’ve been dancing for almost 15 years of my life. Life is weird, guys. I didn’t love the relationships or the ways they were portrayed throughout this book. Harper meets this super cute and sweet guy in San Francisco who really likes her, then she just leaves and goes to Antarctica. Fine. No worries, I guess, but then she meets another guy while she’s there. I don’t think she really likes him I just think that she’s “dating” him because it’s convenient and she wants attention. But then other times I think she actually does like him. I don’t know. But the original super sweet awesome cute boy from San Fran is sending her emails and letters and she just doesn’t read them. What the heck. Why wouldn’t you read them and respond? She likes him. A lot. Or so she said before she left, so idk why she wouldn’t look at them. Plot device? I don’t know. He also just keeps sending them even though she isn’t responding. I admire that his character has resilience, but that is totally not what would have happened. He would have emailed for maybe a month and then got the message that she wasn’t interested. Because that’s what she was portraying to him. Just seems a little fishy to me. There was also LITERALLY NO WAY she would have gotten the opportunity to go to Antarctica. She’s not even a science student. She’s not going to college and she graduated school early. She has no skills that they would have possibly known would be useful to being there. She applied to go and knew she was going within such a short time. Not realistic at all. People would be waiting to go and working for years and years to get a spot on the list. There literally no possible way that could have happened… but this is also just a book, so I’ll give it a little grace. I know there was a lot of negative in this review, but I actually did enjoy a lot of this book. I love books about dance, even though it’s not always done in a way that makes a ton of sense. The reality of dance is this: it’s a lot of hard work for not a super great reward all the time. You work for hours a day and might not get a part because you’re too tall or won’t fit into a costume. Dance is so subjective and that makes it so difficult. You could have amazing technique, but your body doesn’t fit the type they want. Again, a lot of work for not always a great reward. I loved the family dynamic because everyone was so close; it reminded me a lot of my own. I’m so close with everyone in my family, so it’s nice to see a strong family unit that doesn’t have any disruptions in it. This book was filled with so much wisdom and great advice, and I think any female-identifying individual would gain insight from this book. There were so many moments that it felt like Rachel Hollis was speaking directly to me! I loved pretty much everything about this book! The writing style made this book so memorable to me. Rachel Hollis is so honest with all of her stories and advice, that it makes it so much more believable. 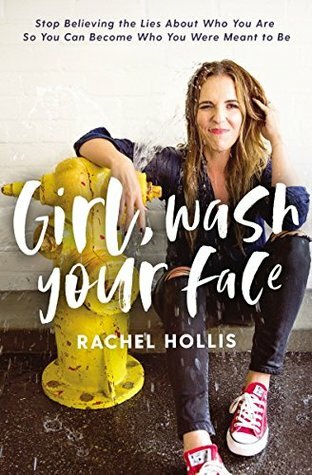 Some self-help books make you feel like the author has it together and has this perfect life and is above you because they know something you don’t, but Rachel Hollis writes like she’s a real person. Crazy concept, but that’s what makes it so great! She doesn’t talk down to her readers, and just wants to create something useful for people to read. There were a few chapters that I couldn’t completely relate to because I’m not married and I don’t have kids, but I there was something I could gain from every page of this book. I’m so excited to have kids in the future, so I know that I will be able to remember some of this book or reread it to help me more once I’m in that stage of my life. I already want to reread this even though I just finished it. I feel like that always shows how great of a book it is! I annotated this book, so I have sections I liked underlined for future reference. I think I will love being able to flip through this book and read my underlined passages when I need some inspiration. Another thing, this book was so inspiring. It made me want to get up and actually live my life. I’m only 19, so I think it’s an amazing thing that I already feel like this, but I don’t want life to just pass me by. I want to be the one controlling my world, and I think that’s where the main message of the book comes in. I think I will come back to this mantra time and time again because IT’S SO TRUE. My mom has always told me that “you choose happiness” and that is exactly what the message of this book was, so I could completely relate to it. I love this because you truly are the one who decides your own life. Yes, there are situations you can’t avoid, but you choose how you react to those situations. I was hoping I would like this book, but it totally exceeded any expectations that I had before going into it. I wasn’t sure about the comedy aspects of it as I don’t find “typical” comedy actually comedic, but I was pleasantly surprised. This book is super hard to explain, but the synopsis does it justice. Pretty much, King Edward is dying, and he appoints his best friend and cousin, Lady Jane Grey, to become the next queen of England. He arranges a marriage for her to the son of his advisor person, and on top of all of these political shenanigans, there are people called Eðians who can turn into different animals. This was totally not what I was expecting, but again, I was pleasantly surprised. I don’t typically gravitate towards historical fiction, but I’m obsessed with pretty much everything England related, so this book appealed to me because of that. I loved the Eðian fantasy element to the story. It kept it super interesting, and I was engaged the entire time. I think it was so surprising, that I just happily went with it. This is the perfect example of a book that it’s fun to go into without knowing anything about it first. I love doing that with books and am usually good with the outcome. Another thing. The characters were so cute. 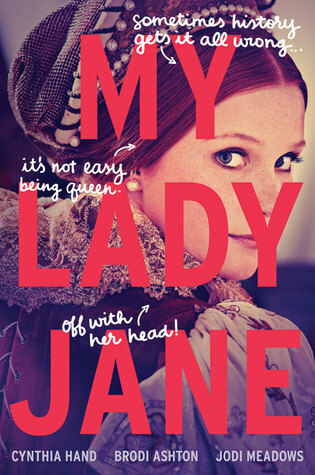 Of course I loved Jane; she was obsessed with books and reading, but she was also unbelievably stubborn and opinionated. I loved that there was some girl power from her. I also really loved Gifford, Jane’s husband. He was so sweet and loved her so much, you just couldn’t help falling for him. Edward wasn’t my favorite, but that could just be because I was half-expecting him to try and end up marrying Jane, and I was REALLY not here for that. I think he was an okay character, and it was obvious he wasn’t the main character in this story even though every third chapter was written from his perspective. I think I loved this book so much because I was in the exact right mood for it. I have been doing my reread of the Shadowhunters books, and of course I love them, but it was nice to have something new and different. I needed a cute book with lots of *sometimes unnecessary* drama. The only reason I didn’t give this 5 stars was because there were some aspects that fell short to me. I think some of the decisions that were made were just so stupid. For example, you would give up a dagger instead of having to go fight a bear. You would talk to your significant other before just assuming something is 100% true. Some of the decisions just didn’t make that much sense to me, but what can you do sometimes? I also LOVED the narrator sections. I don’t typically enjoy when the narrator actually interrupts the story, but it added such a fun layer of humor. I didn’t laugh out loud, but that’s also just not my style; I still found it funny, though. This book was set in London, so it just made me THAT MUCH MORE EXCITED FOR MY ENGLAND TRIP WHICH IS LITERALLY HAPPENING IN 10 DAYS. Sorry for the screaming, but I’m so excited wow. THIS IS SUCH A GREAT FINALE. Cassandra Clare is a genius, and I will fight you if you say otherwise… lol maybe not fight you, but strongly disagree. 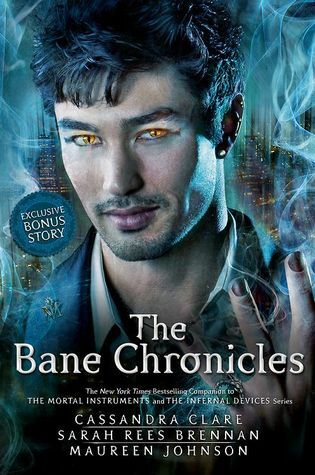 The small connections made throughout the Shadowhunters Chronicles are insane, and must have taken and insane amount of careful planning. I can’t even imagine the time that has been spent on creating these books, but I’m so grateful for them. 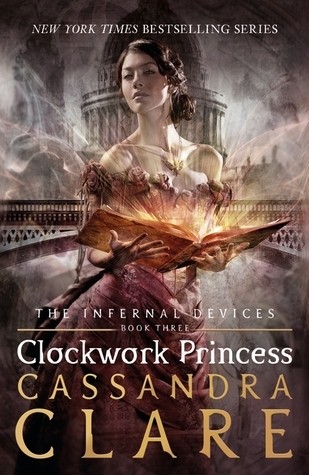 I think this is my favorite Cassandra Clare book… or they just keep getting better and better every single time and the newest one will always be my favorite… either way. This was an amazing book; even better the second time! One thing that stood out to me about this book was the prevalence of Emma and Julian from The Dark Artifices. At the time, Lady Midnight hadn’t come out yet, so I didn’t know them, but now that I’ve met them already I gained even more appreciation for them! Seeing them as their twelve-year-old selves made me so happy. I love them. They’re my favorites. Ugh everyone is my favorite lol. Yay for relationship development! I love Clary and Jace. They love each other so much, and their little speeches are always perfect. I love Alec and Magnus. They’re my ALL TIME favorite couple because yay for that LGBTQ+ rep! I appreciate their relationship so much. I love Simon and Izzy even though it’s a little different at the end… no spoilers, but anyone who hasn’t read this series, get on top of it. It’s so good and you’re missing out. The first time I read this I hadn’t read The Infernal Devices, so Tessa and Jem kind of just went over my head, but I’M HERE FOR IT NOW!!! They’re so precious and I love that we get to see them again. I just love them. I love all the characters. Redundant, I know. I love picking up on so many little things I missed the first time. There are so many little things that just shows that Cassandra Clare is a queen wow. He was going to be so handsome, she thought; girls would be all over him and one of them would take him away from her forever, because Emma was his parabatai and that meant she could never be one of those girls now. She could never love him like that. BOI. She knew that she loved him when she was 12 !!! Excuse me. Come on I know that being parabatai is what you’re “supposed” to do, but if you know you already love him don’t put either of you through that! So much foreshadowing. I love it I love it I love it. Because the world isn’t divided into the special and the ordinary. Everyone has the potential to be extraordinary. As long as you have a soul and free will, you can be anything, do anything, choose anything. So true. So beautifully worded. Magnus, you always know best. I was almost in tears during this part because I kind of forgot what happened at the end of the book because I read it 4 years ago, and man a lot has happened since then. F is for Fairchild, and the rest for Gray. yes kill em with all these connections. I just. It’s just so good. I run out of words sometimes. 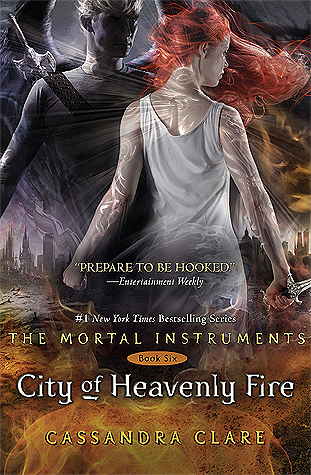 Also, Clary and Jocelyn have red hair because of Henry from The Infernal Devices. HOW DID I MISS THIS BEFORE NOW? Amazing. Wonderful. Beautiful. Romantic. Perfect. I just love these books. I feel so redundant, but I love this series so much. This is the best love triangle that I’ve ever read and it’s so beautifully tragic. These are some of my favorite characters, and all I need is a William Herondale in my life. He’s my favorite character, and if I could marry him, I promise I would. I sat down and read half of this last night. I read almost 300 pages pretty much without moving. It was amazing, and just what I needed. I love seeing all the connections with the different Shadowhunter families. Cassandra Clare is actually a genius, and I have no idea how someone could possibly be able to weave all of these different storylines together coherently. Everything makes sense throughout all the series, and it just makes me want to read the rest of the books right now. Some spoilers are about to happen, so if you haven’t read this book, stop reading this post…. My favorite scene was with Will and Tessa after he comes to save her in Wales. He’s overcome with happiness at seeing her, and then goes through the stupid forcefield thing that Mortmain put up. Then they finally let their feelings for each other out and then after all of the passion and love, Magnus appears. It makes me laugh every single time. I can’t wait to read the rest of the Cassandra Clare books and then read The Queen of Air and Darkness!